Having dealt with the effects of man’s sin through the Cross, the Lord is now able to reopen the way to life. You may, however, be surprised at the way it works out. Many are aware of the fact that we died with Christ on the cross from Scripture passages such as Galatians 2:20 or Romans 6:6. Few, however, realize we were also raised to life with Christ in His resurrection from the dead. Consider the following Scriptures. The implications of both passages is that the Father raised us to spiritual life when He raised His Son from the dead. This fact is perfectly illustrated in water baptism. When we are placed beneath the waters of baptism and breathing ceases, it represents our death and burial with the Lord Jesus Christ. Our “old man” (the person we were in our pre-Christian days) is dead and gone forever. When we are then brought up out of the water, and take that first breath of fresh air, it shows how we were raised to new life with the Lord (see Romans 6:1 – 4). Eternal life is not merely life after death, nor is it a kind of substance we are granted apart from Christ. Paul emphatically states that Christ Himself is our life. This is why Paul also wrote, “It is no longer I who live, but Christ who lives in me” (Galatians 2:20). Simply put, the Christian life is actually Christ living His life in and through you and I.
Jesus gave us the perfect illustration of this reality in John 15:5. In this picture, the vine is seen as the source of life for the branches. The branches, on the other hand, exist only to express the life of the vine. 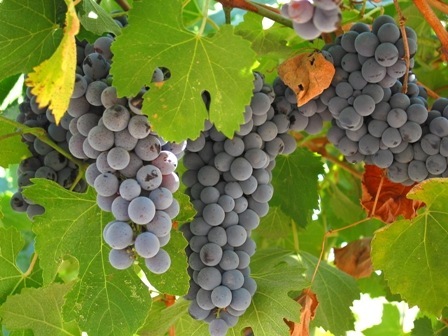 The result of this relationship between the vine and the branch is fruit that is consistent with the nature of the vine. By the same token, Christ has now become our Source of Life. The only real purpose for our existence is to express, or reveal, His life to the world around us. As we abide in this relationship, the result will be fruit that is consistent with His divine nature (Galatians 5:22 – 23). The key is to learn to live in this relationship. That will be the subject of my next post. I hope it will help you learn to live in Reign.